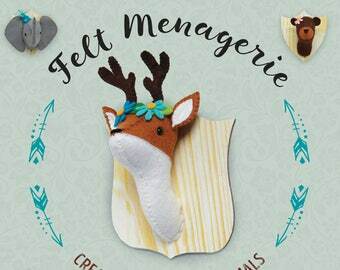 Easy to follow sewing patterns for stuffed animals. Announcement Sewing patterns for unique, adorable soft toys you're going to love! Step-by-step photos with every pattern, full-sized templates to print again and again. Sew toys to sell or give as gifts! Each pattern creates a truly 3-dimensional softie from simple pattern pieces. Start with a 1/4 or 1/2 yard of fabric, some stuffing, and a bit of felt or embroidery floss and end up with an beautiful and unique stuffed animal! "Just wanted to let you know I purchased the Hadley the Horse pattern a while ago in order to make a specific stuffie. I just finally got around to making him this past weekend and was thrilled with how easily he went together. I literally finished all but the minor details within a few hours and believe me, that's a BIG deal for me, as I'm not all that patient a sewer. 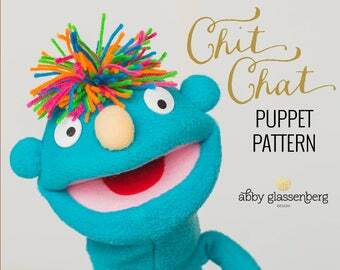 The pattern was SUPER easy to follow and my stuffie turned out great!" -Kim H.
Check out my softie books. Stuffed Animals: From Concept to Construction was published by Lark Crafts in May, 2013, and shows you how to design your own stuffed animals. The Artful Bird: Feathered Friends to Make and Sew was published by Interweave in 2011 and gives you 16 sewing patterns for birds. I am also a licensed designer for Simplicity. Follow me on Facebook to find out about new pattern releases first! Sewing patterns for unique, adorable soft toys you're going to love! Step-by-step photos with every pattern, full-sized templates to print again and again. Sew toys to sell or give as gifts! 3-pack of large rattle inserts. Rattles for toys. Baby toy rattle. Make your own rattle. Washable rattle insert. Rattles for plushies. These are so cute I can't wait to make some! Thank you. A+ seller. I create unique patterns for stuffed animals from my home studio in Wellesley, Massachusetts. I design patterns for toys that you will love to sew. You'll use these patterns over and over again because they are easy to follow, cleverly designed, and fun to make. A handmade stuffed animal is the perfect baby shower or birthday gift. Since 2005 I have shared my creations and ideas on design, technique and the online culture of craft through my blog (http://www.whileshenaps.com). I have a master’s degree in education from Harvard and I taught middle school social studies in Mississippi and Massachusetts before becoming a textile artist and the mother of three girls. I enjoy teaching people to sew and sharing the joy of designing and making stuffed animals. My first book, The Artful Bird: Feathered Friends To Make and Sew, was an ALA Booklist top ten craft book of 2011. My new book about soft toy design was published by Lark in May of 2013. I am also a licensed designer with Simplicity.